I’m happy to report that we have two new Memorandums of Understanding (MoUs) to share. These agreements connect our startup community with Barcelona and Taiwan and forge paths for startups in both places to share ideas and learn from each other. During last month’s WARAKU SUMMIT, representatives from both organizations were in attendance. I sat down with Xavier Dumont, Head of Business Creation Services from Barcelona Activa and Xin-Wu Lin Director, Research Division III, from the Taiwan Institute of Economic Research to discuss these exciting new MoUs. Read on to learn about the services they will share with our startup community and why both groups are so enthusiastic about these new agreements. While chatting with Mr. Dumont, one theme came up frequently – passion. He told me that the most important thing that he looks for when he’s advising a startup is how passionate they are about their projects. It was clear from our discussion that he’s also extremely passionate about startups, and his interest in creating a strong ecosystem with reciprocal benefits is clear. 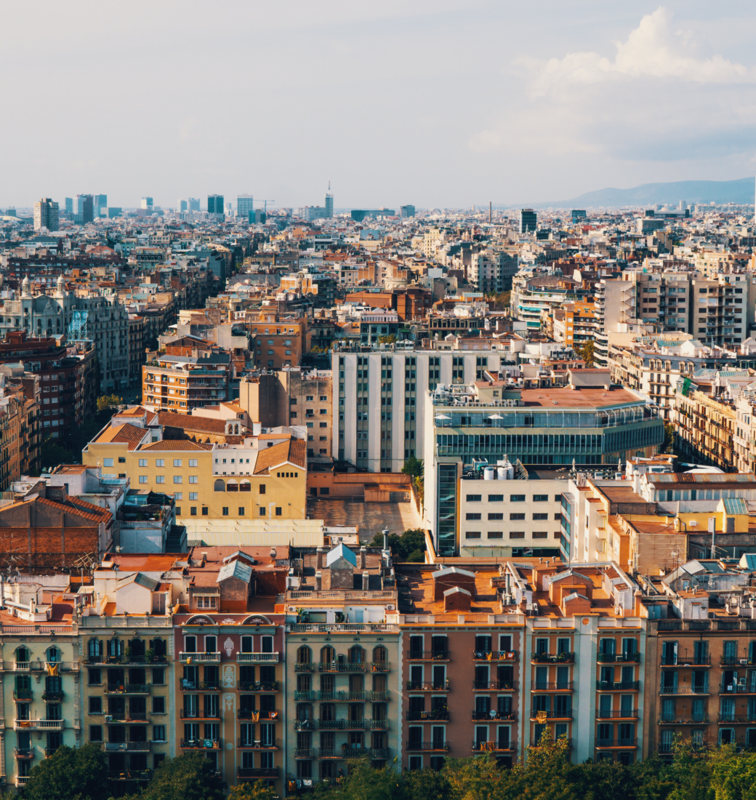 Barcelona Activa’s goal is to create partnerships with cities all over the world so that they can share their resources with startups interested in the Spanish market, and their startups can easily get assistance in other countries. Mr. Dumont said it’s important for startups from Barcelona to understand how things work in the Japanese market, and similarly, our startups can benefit from the insights his team can provide about the Spanish market. An MoU creates a nice bridge between our two cities that makes this flow of information possible. In addition, Barcelona Activa created a special award to give to global startups in cities that they visit, Fukuoka included. Startups who win the award will participate in a special program where they will be able to access an entire ecosystem of support. The program launches in February 2019, and Fukuoka’s winner, Medmain, will experience the Barcelona startup ecosystem along with other global winners who will be encouraged to exchange ideas with each other as well. "It's an honor and a pleasure, and we hope that in four years we will be able to share many success stories that resulted from the collaboration with Startup City Fukuoka,” Mr. Dumont shared. I’m certain that even just within the next year we will be able to see exciting updates and interesting developments that started thanks to this new MoU. Xin-Wu Lin is an incredible resource for all things startup in Taiwan. As he manages three startup hubs throughout Taiwan and is also in charge of startup policy recommendations for the government, Mr. Lin knows how to get things done. His strategic planning has led to a comprehensive, 3-stage system to help startups to flourish. In the first stage, the startup hub teams do a preliminary assessment to see what the startup needs and what connections they will benefit from having. Then, in the second stage, a team helps startups to find financial support and makes introductions to government programs if needed. Finally, the third stage is for more mature startups where Mr. Lin helps to bring the startups to different events, including the WARAKU SUMMIT, to understand international markets. All three stages are run by teams that have very good relationships with global accelerator programs that they help connect with their startups. Fukuoka’s MoU will give startups the ability to tap into these resources and learn what Taiwan has to offer. Mr. Lin shared that Taiwan’s prototyping and mass production capabilities are quite strong. They are looking into how they can open these services to global startups who have concepts that they don’t know how to implement. His idea is to find global startups that need prototyping assistance and invite them to Taiwan to use the facilities. “When I integrated the three stages together, I thought we should apply a very fundamental infrastructure to gain a better understanding of what startups are coming for our services and learn what they need. We provide a system to help the mentors to aggregate the data and follow it through the three stages of development to track their lifecycles.” In the future, Mr. Lin says they plan to add details about their mentors and accelerator information to create even more rich data and gain deeper insights into the lifecycles of their startups. This comprehensive and detailed system will allow startups from Taiwan and those interested in entering the market to get a deeper understanding of what will help them to succeed. Any Fukuoka startups who are interested in robust prototyping facilities should absolutely reach out to the Global Startup Center and get in touch with Mr. Lin as he’s ready to help provide excellent support.